We are devoted to providing stunning products that will transform your home. Bring us your vision, and we will help you build, design, or remodel the units in your home. At Fisher Lumber Company and Fisher Lumber Showroom, we excel in customizing what you want. While we have ready-made products, we get excited by new ideas, and our experienced sales team can help you every step of the way. 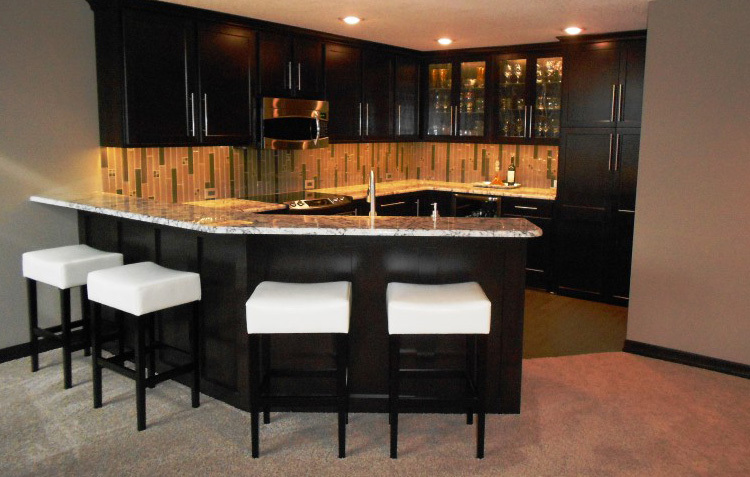 Whether you’re looking to reface your cabinets or redesign the entire look of your home, we’re ready to help. We function like a personal design team — from helping you create plans to delivering your products, we can transform a difficult project into a dream project. We want to make it easy for you to do more, so we provide in-demand custom work as well as the raw materials for your project. With everything from a prehung shop to a custom woodshop, we have all the materials and space to produce custom moldings, moldings to go over round top and elliptical windows, custom cabinet doors, picture frames, and much more. After serving his country during World War II, Vince Fisher worked as the manager of the Comley Lumberyard for several years. In 1955, Vince and Marjorie Fisher bought the yard and started Fisher Lumber Company. Starting with only two other employees and one delivery truck, Vince had a clear philosophy: offer quality materials at a competitive price while maintaining the highest degree of customer service possible. Two generations and over 60 years later, many things at Fisher Lumber Company have changed. May 2013, Fisher Lumber Co. purchased Andale Lumber Co., solidifying us as the place to go in western Sedgwick County for building materials. We now have over 30 employees who have sales experience of over 300 combined years in the building material industry. Our fleet of bright yellow Fisher Lumber delivery trucks, white Andale Lumber delivery trucks and white sales trucks numbers almost 40. Fisher Lumber Showroom is our 11,000-square-foot showroom in west Wichita (Ridge Road and Taft Street). It’s the largest one-stop shop for home building and remodeling products in town! Our own highly skilled and licensed employees install many of the products we sell. We offer scheduled appointments so we can give your project our full attention. Delivery to your door is always available from foundation material to rooftop deliveries for shingles! We operate our own door shop where we build our own interior and exterior prehung doors, our own countertop shop where we fabricate solid surface countertops, and our own woodshop in which we build everything from custom cabinet doors to round top moldings.